Another day and another recipe from my colleagues at Wild Rice. 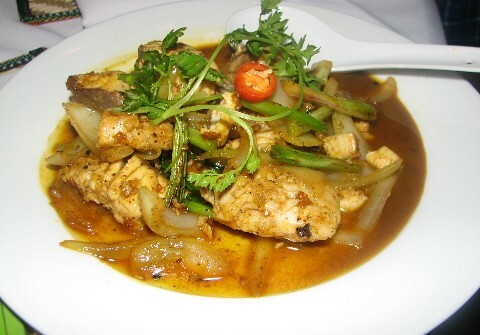 This is one of the most popular main dishes at the restaurant. If you follow the recipe carefully, you can make your meal special. 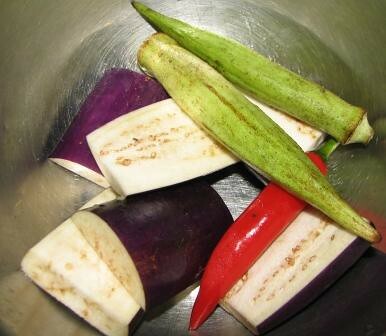 - Put tuna, eggplant, okra, red chili, chili paste, garlic, prepared red chili, cooking oil, chicken powder, sugar, white pepper into a large mixing bowl, mix well then marinate for 15 minutes. 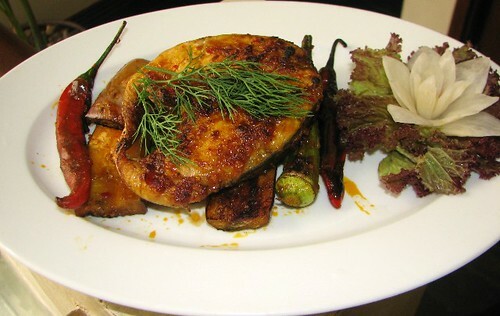 - Grill the eggplant, okra and tuna over a hot flame for 5-7 minutes on each side. 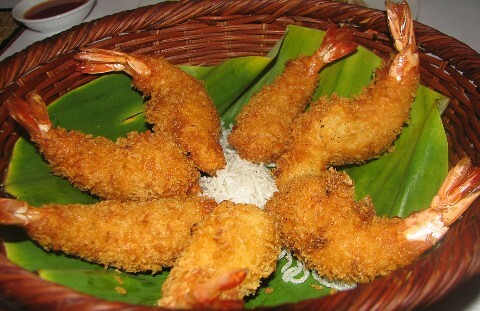 This dish is served with rice at the restaurant. But of course, it's always nice to order or prepare some vegetables or a salad, too. Laying on the sofa right next to the window at my sister’s house I heard so many people walking past trying to sell their stuff from sticky paper to catch rats to tropical fruit like durian. My daily snack or desert while I was there was Agar which only costs 1000Vnd and the lady’s very friendly. She also sells creme caramel. She told me that she earns 50,000Vnd everyday by selling those sweets, having started her business 5 years ago. She starts at 8am and continues until she's sold everything, walking through every alley trying to finish her day as early as possible. Every time she came around, I couldn't resist. I just have to buy one, sometimes two or three! 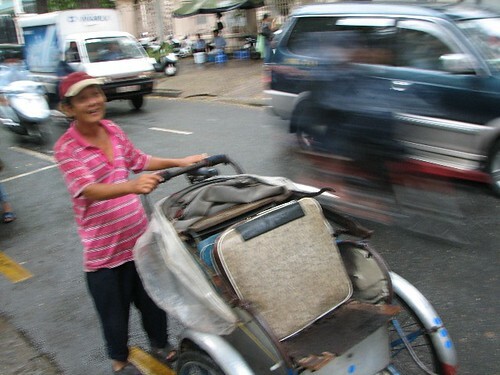 I am not a big fan of the Xich Lo because I feel a bit mean sitting there looking around while there is an old man using all his energy to pedal the thing. 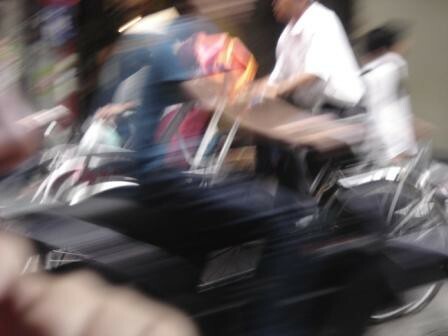 While walking along the street on my recent trip to Saigon, I was starting to feel exhausted when an old Chinese man rode past and asked if he could show me around. I refused twice but I then agreed after he told me that he would take me to a very good Hu Tiu(noodle soup-Chinese style). I talked to him about a variety of things, about the city and the people. The xich lo driver also told me about himself and how his income fluctuates everyday but remains low compared to other jobs. This is really hard work and the charge is usually dependent on the distance. Nowaday, most people who use the Xich Lo are from the older generation or they are kids. Young adults prefer to go by bike or taxi for speed and convenience which is opposite to the old folk who care more about safety and a relaxing ride. Some people use Xich Lo to take their children to school. I think I might use Xich Lo more often because I can see things happening during my trip and also using them will preserve one of the traditional trades and customs in Viet Nam. 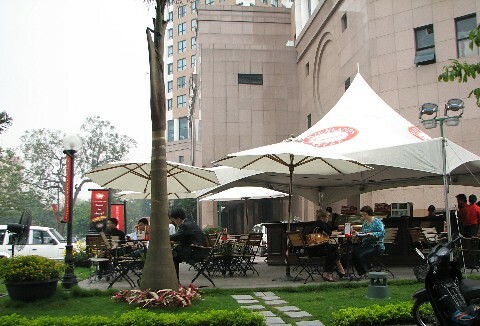 Eating in hotels can be a bit boring because there are so many which serve acceptable food in a very formal atmosphere. The Riverside Cafe in Saigon where I went recently with my friends is great, quite expensive compared to other places but worth the money. There are lots of options to choose: salads, main courses and desserts are available from the international buffet. A soft drink and water are included. 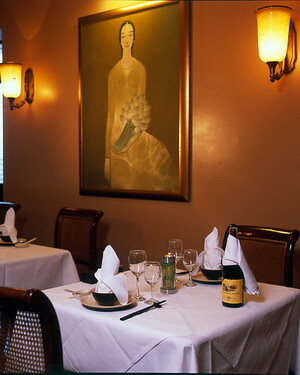 Sit on a comfortable chair in the non-smoking area to make your meal more enjoyable. 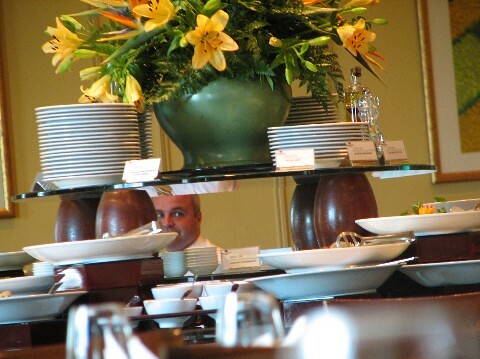 Plates are changed after each serving which is good and the staff are friendly, beautifully attired and well trained. I also went to an amazing bar on the 5th floor called the Atrium Lounge. 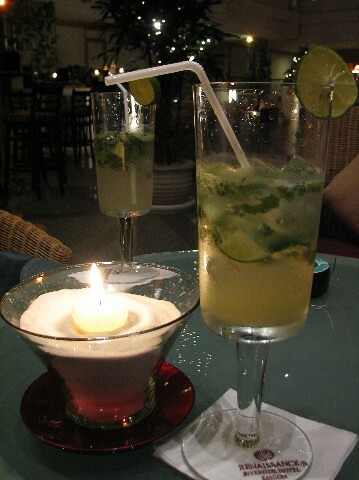 I ordered the best Mojito ever at this bar and was really pleased with the very relaxing music. It was a nice surprise. It’s not as expensive as I thought either, and all long drinks and cocktails start from $6. For a special occasion or a drink before a meal, I recommend this place. Remember, it's on the 5th floor. 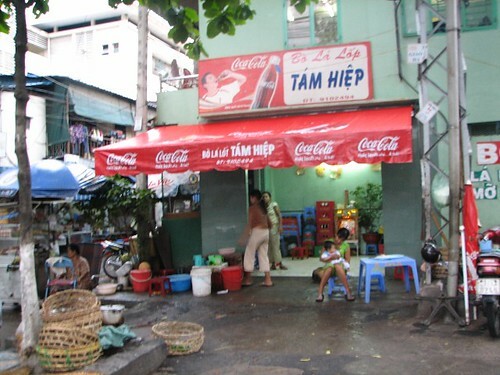 This is a quite well known noodle shop in Saigon, not because of the noodles, but rather because of the owner. The regulars, including my sister, said that the lady owner swears at her staff all the time and is a bit cold to the customers. 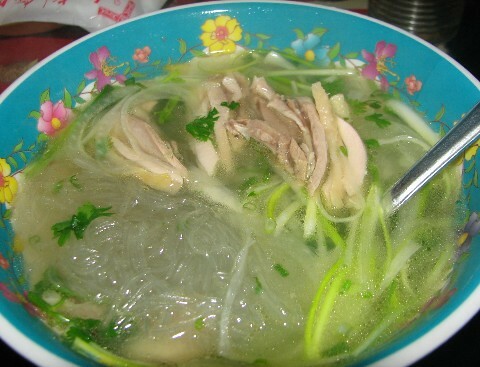 She sells a variety of different kinds of noodles (vermicelli and pho) with chicken and chicken's organs. If you ever go to this place, ask her to leave out the MSG. Because she’s from Hanoi, she adds it without thinking. The soup's good in the mornings and they are open at night, too. Another member of the family takes over to sell sticky rice, noodles and other chicken dishes. 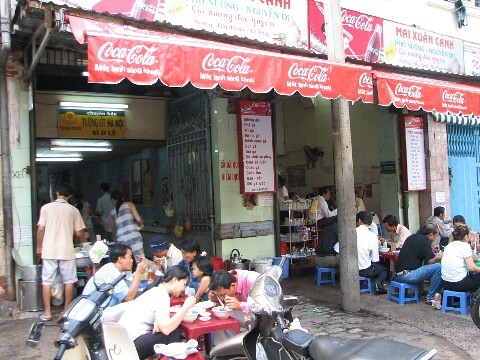 Nguyen Du Street - almost opposite the cathedral. 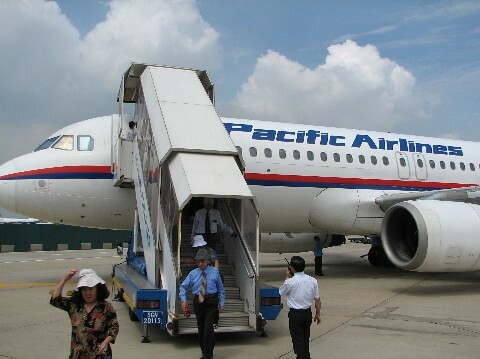 Pacific Airlines is not a new airline, but it is a good competitor for the national airline, Vietnam Airlines. The tickets are cheaper but the service is still quite good, with friendly staff full of helpful information and free pickup. These are some of the reasons that lots of people choose Pacific. They also occasionally have promotions for international flights or throughout Vietnam. One thing I do want to say is that because the airplanes are not really as new as Vietnam Airlines planes I was a bit scared the first time I flew with them. But recently I flew from Hanoi to Saigon on a big Airbus and the pilot took off and landed perfectly. I just wish the flight attendents would wearVietnamese traditional long dress instead of skirts which would make them look even more beautiful. I hope the Vietnamese government allows more airlines to operate, so that Vietnamese have more options to choose, the quality will improve and more people can afford to fly around the country instead of using car, bus or train. It would be a further development for the better. I stopped by this shop by accident due to the heavy rain while I was in Saigon, even though I have been wanting to try this dish since my last trip. Only 7000Vnd for one serve which includes lots of different herbs, cucumber, banana, noodles and rice paper to make your own spring roll and a very yummy brown smelly sauce which I love. You can choose between grilled beef rolled in La Lot leaves or grilled beef without leaves but this second beef is a bit fatty. Most of these shops are open from lunchtime till midnight but the busiest time is in the afternoon when people finish work. People sit along the pavement eating this dish and drinking beer or rice wine and I reckon this is one of the best street BBQ dishes in Saigon which is cheap and good. 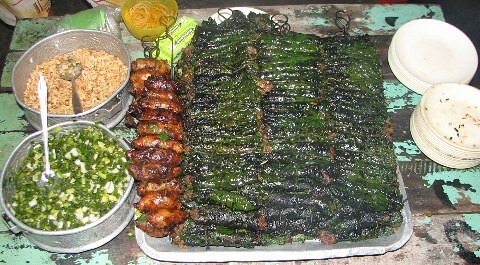 Grilled beef rolled in La Lot leaves, available on Ton Duc Thang Street. While in the south, I took a speed boat to Vung Tau on a hot day and I can't believe that it was already over 10 years since I was there the first time. Everything has changed but I think this small beach town is still missing something. The architecture is very mixed with so many new houses with strange designs and the people are a bit pushy. I walked along the street and there were so many people coming and asking me to do things. I understand that's business but I think they need to leave people alone when they say no. 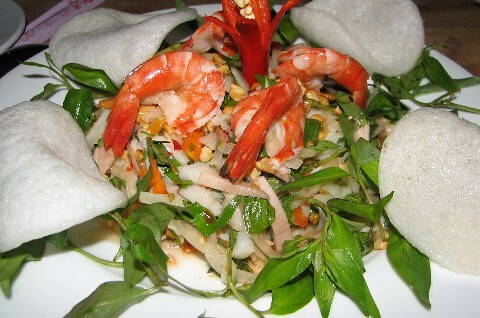 The food in Vung Tau was also not really good except for the seafood. 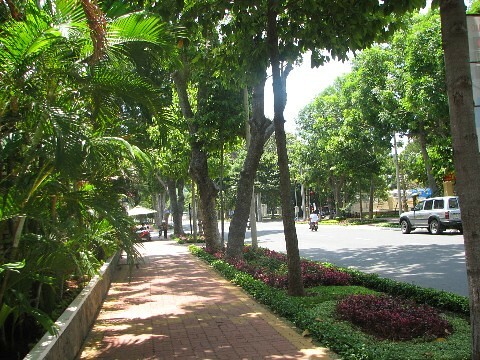 Vung Tau is a very clean city with lots of greenery along the center of the streets. It reminded me a little of Singapore for some reason. 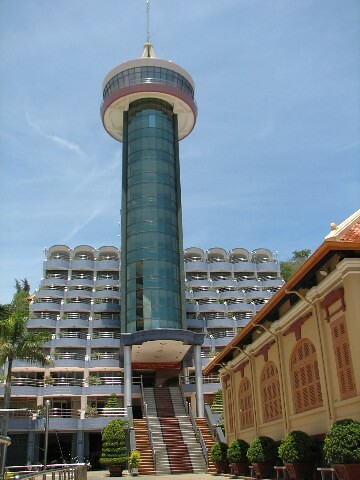 I don't know what it is but there is something missing in Vung Tau. 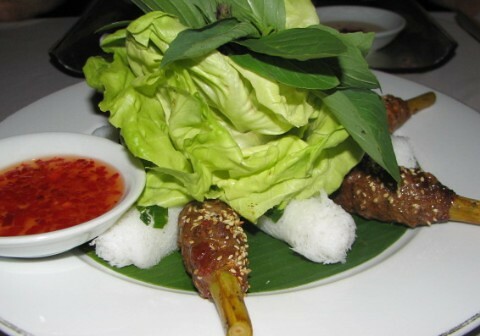 I have eaten in many different restaurants in Viet Nam, from local to high class restaurants just for the very simple reason, to find out about the food and for my blog. 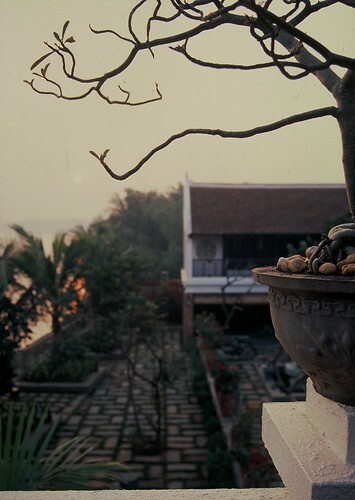 I realized that there are differences between Hanoi, where I am living now, and the south. In a high class restaurant in Ho Chi Minh City, it’s more expensive than in Hanoi, even though the food is about the same quality. Maybe we are paying more for better service? Another difference is that in Ho Chi Minh City they charge a 5% service charge in most restaurants, which is not very popular in Ha Noi, except in 5 star hotels. 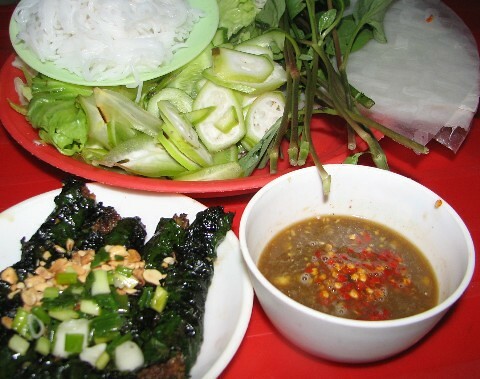 I love to try all styles and I love to eat food all around Viet Nam. The only things that I really care about are service and staff behavior. The hygiene is not really a problem for me - I'm probably immune! - but I'm fond of clean places, on the street or wherever, and a comfortable seat. In Hanoi, I usually eat out at small places and most of them are stalls on the streets and in markets where you get the best food for not much money. Restaurant 19 is just another restaurant that I ate at in Saigon, a local restaurant serving Vietnamese food at a good price and very busy with mainly foreigners. 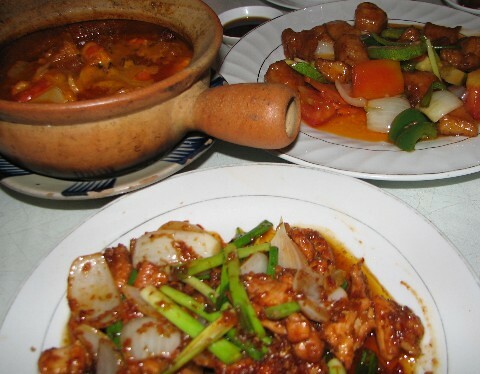 The highlights at this restaurant, recommended by the staff, was the chicken with chili and lemongrass, the fish curry and the mango salad with beef. At half the price of other restaurants in the same area but with the same quality, restaurant 19 is a pretty good choice. The only thing this place needs is comfortable chairs and tables which might improve the appearance and attract more people. 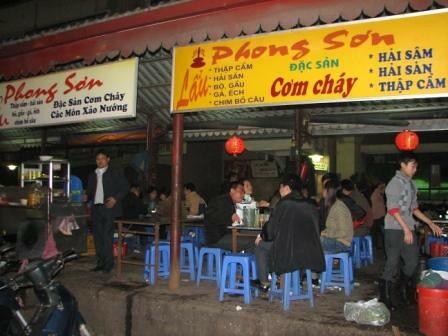 If you ever come to Ho Chi Minh City, check this restaurant out for good food and good service. 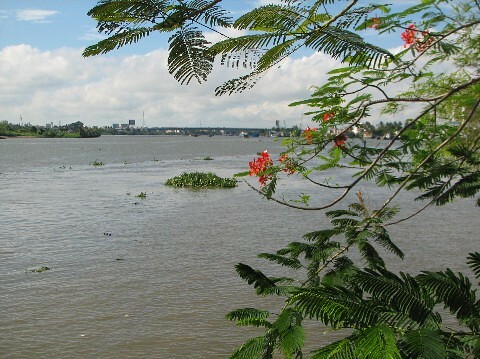 Nghi Tam village is a very popular place for flowers and fish, especially fighting fish. I see hundreds of people driving past my house everyday with lots of tiny plastic bags containing fish hanging on long sticks. 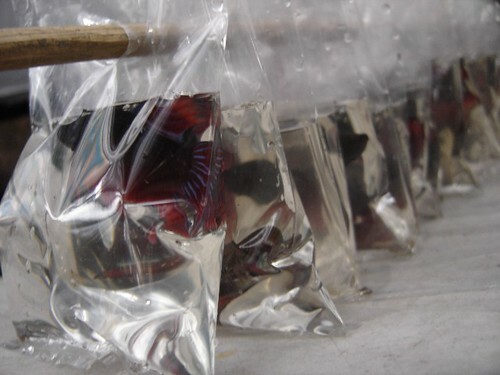 As you can see in the pictures, the breeders put these fish in beer bottles or soft drink bottles which are chopped off at the top or in big concrete pools. 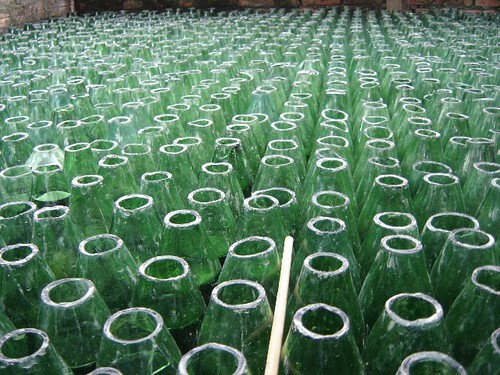 I wondered why there were so many bottles around their houses until today. I went along to one of my neighbours and bought three fish and I started talking to them. 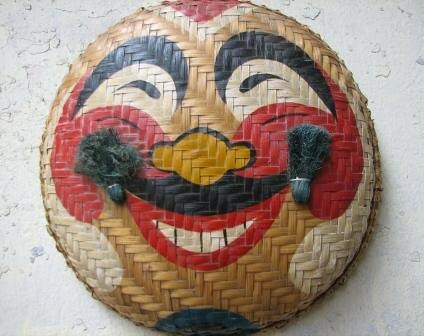 This is one of the traditional trades which has been going on here for over 50 years. The seller told me that she sells hundreds of fighting fish everyday because this is summer time so lots of kids come to buy them to play with at home. To actually make the fish fight, people shake the bottle which has two fishes in it and then stop and look at their fishes fighting each other. 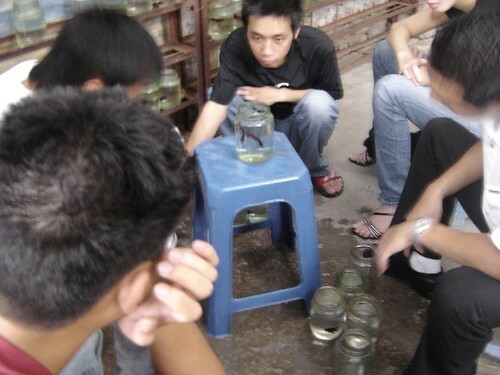 I asked people and they said that "shaking the bottle makes the fish drunk then they will fight even stronger". It's a bit strange, probably cruel, and not really something I would do. My three fish are in separate bowls. Most fighting fish are sold at about 1 year old. There are lots of different colors. 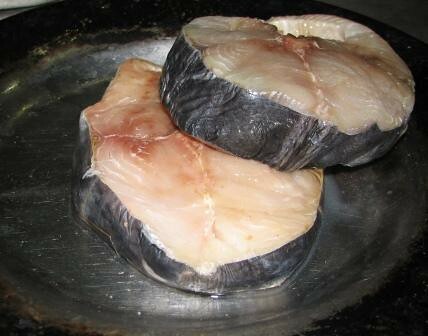 Some are imported from Thailand then they are mixed with Vietnamese fish. One fighting fish costs from 10,000Vnd and gold fish cost 20,000Vnd depending on the size. You can choose fish from the bottles which are smaller than the fish arranged on the shelves If you buy them on the street, they are a bit more expensive. 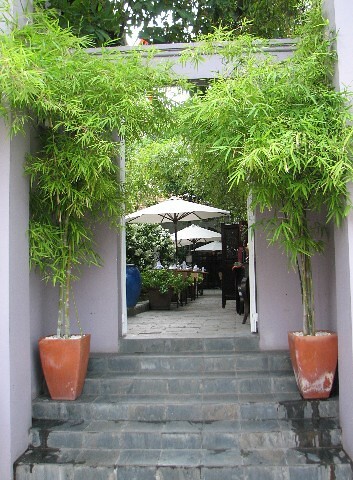 This well-known restaurant has a beautiful garden and lovely decor at the entrance and inside. Nam Phan is a special place. 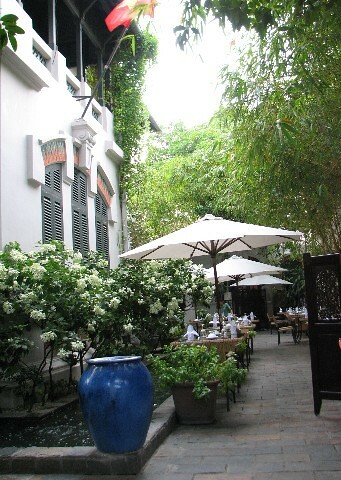 The old French building is covered with lots of green plants and surrounded with tables which are set up along the side. It's an impressive first sight. 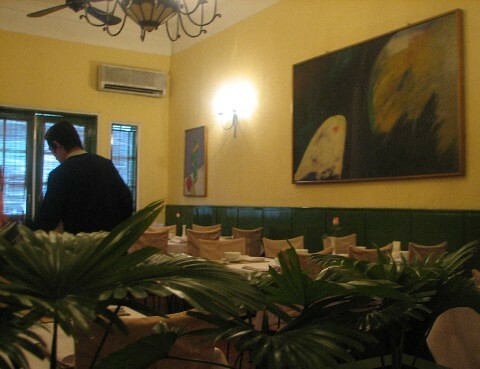 The inside decor is very simple with lots of beautiful old hand made shirts and big wall hangings on the walls. Nam Phan is a cool, airy space with good food and excellent service, even though their serves aren’t as big as other places. The presentation of the food could have been better, too, especially considering it's a pricey place. Summer is here. You can hear the cicada's music which repeats the same sound for hours. 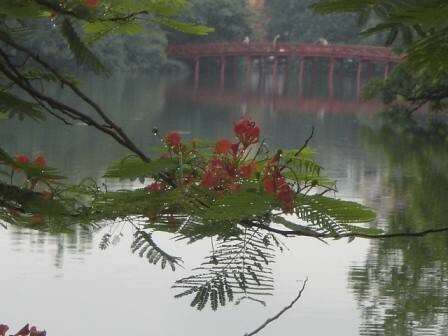 Along most of the streets in Hanoi these days, you can see the beautiful Flamboyant flowers everywhere. 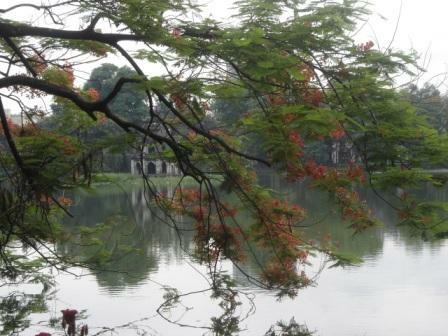 The mix of red flowers, old French buildings, the old quarter mix and the lakes make Hanoi pretty special at this time of the year. You also can see lots of people hanging around the lakes and on the streets in the evening trying to get some breeze. Young boys drive their motorbikes around to have a good look at girls. 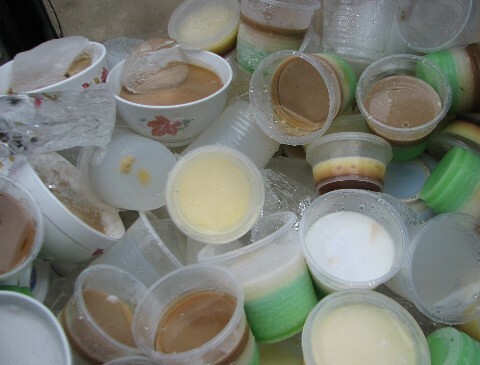 Ice cream and sugarcane juice are the best coolants in the summer. These flowers are a sign of summer, time for students to have a break and people to travel to escape the heat of the city at the beach or in the mountains. I don't know what cicadas look like but they've been in my mind since I was a little boy trying to find one to put in my bed room and keep as a pet. There have been many songs written about summer which make reference to cicadas, Flamboyant flowers, students on school holidays and remind me of my childhood. 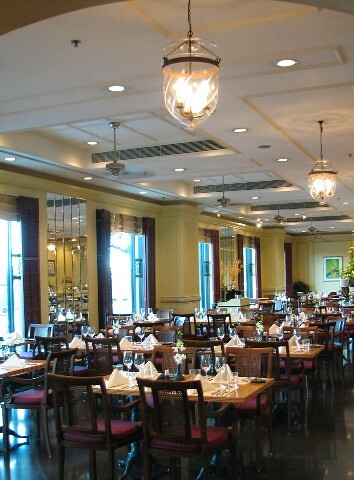 Located in the very expensive Dong Khoi-district 1 where a lot of high class hotels, restaurants and expensive shops are situated is Lemongrass Restaurant. It's a very simple menu but the food is tasty and of course very pricey. The staff is one of the reasons which make people come here. They always have a smile on their faces and are really helpful with good recommendations if you don't know what to choose.. 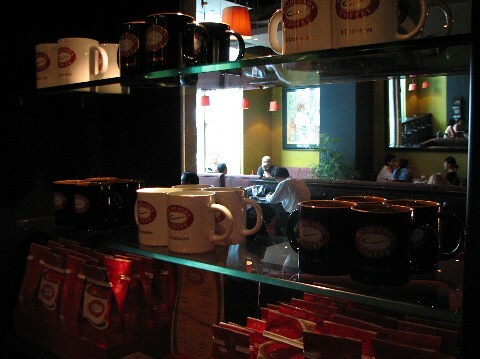 I wonder why people always go to Highland Cafes in Viet Nam. Even though they are a bit expensive, they seem to springing up everywhere. Lots of people I know say that they don't go to Highland Cafe to actually drink coffee, but rather they go there to drink fruit juices, have a chat and enjoy the comfortable environment. Another reason is that they are usually located right near or inside big office buildings near where people work. 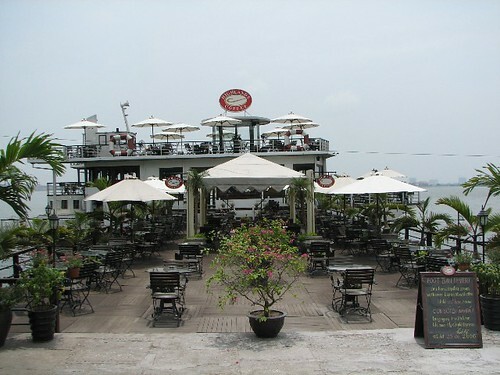 In Hanoi, the most popular Highland Cafe is on West Lake, where you can sit on a floating boat looking over the whole beautiful lake and enjoy your drink with nice breeze and see the sun set in the afternoon. If you don't really like to sit outside then you can choose the air conditioned area right inside the boat. 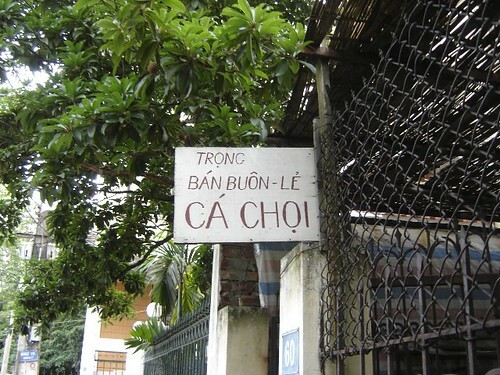 Hanoi's very hot at the moment. In Ho Chi Minh City, I heard lots of people talking about the branch in front of Notre Dame Cathedral. 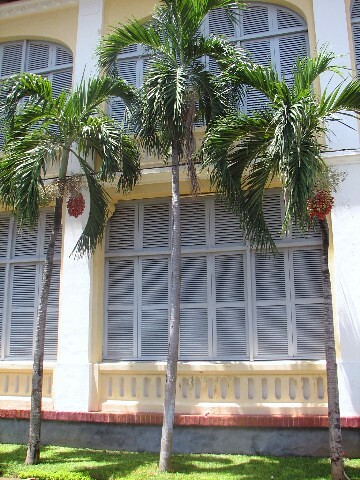 This is a great location for watching passers-by. But I also sit inside when my friends can't stand the heat. I much prefer the juices and gin and tonics rather than coffee in this hot weather of summer. My sister and her friends invited me out for dinner at the Petrol Hotel (funny name because it's owned by Petrovietnam) along the Saigon river. We chose some really good stir fried crabs with sweet and sour tamarind sauce, mango salad with prawn and spices, stir fried tofu with chilli and lemongrass, steamed squid dipped in ginger fish sauce and the last dish is the very special Dieu Hong fish. 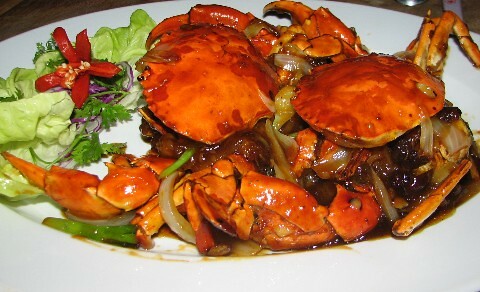 The crab was amazing because of the tamarind mixture with sweet sauce that suits the crab meat perfectly. 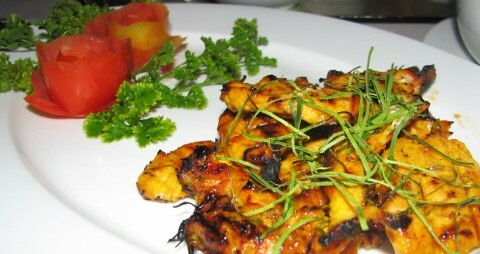 They also serve BBQ here as well which are presented beautifully on banana leaves. Just choose what you want and cook it at your table. 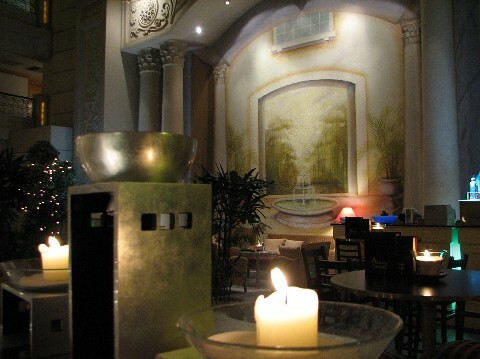 The food was delicious in this very romantic place which is good for couples, groups of friends and family parties. I should have posted this month ago but I was so busy so that I decided to post it now. My friend Jc and Felicity came to Viet Nam for work and they were here for over a year. They said that they love Hanoi and Viet Nam. Felicity left Viet Nam last year to return to London for work and a few weeks ago it was time for JC to go back to get closer to her and be her good man. We went out alot together, usually about 5 to 10 of us, to enjoy a beer or two. Most of us are writing weblogs but we work in different fields. 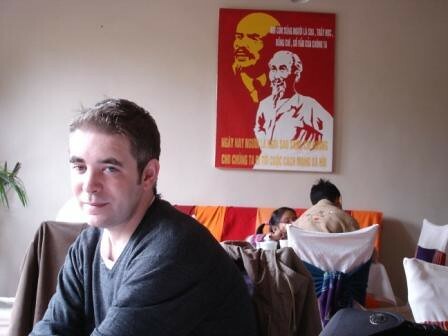 As you know, I work in a restaurant, Jc worked for a newspaper and the rest of the group are English teachers. It's a bit difficult for us in conversations sometimes due to the language barrier but I have learned alot from them and my English has improved a bit as well. Thank you JC and Felicity for coming to work and discovering Viet Nam and hopefully you guys will make a come back and marry here at Moon River Retreat, a place as special as you are! We all miss you.